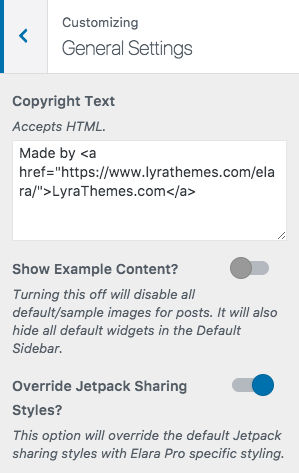 Elara Pro integrates in a unique manner with the Jetpack plugin’s Sharing options. 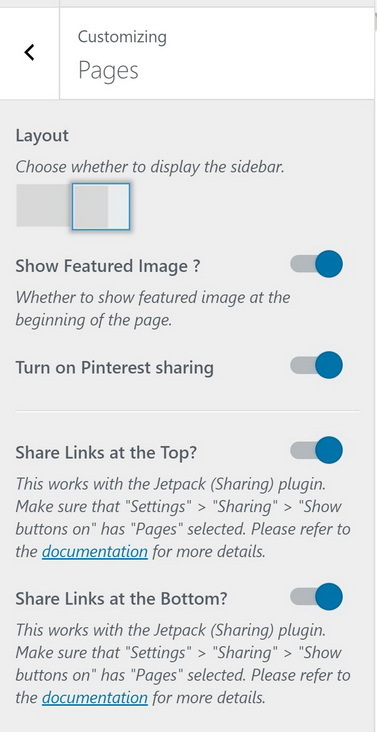 You can choose whether to show the Jetpack sharing options on posts and pages under Appearance > Customize > Posts or Appearance > Customize > Pages. In order to set this up, you will need to install the Jetpack plugin, then go to Jetpack > Settings > Sharing > Configure. 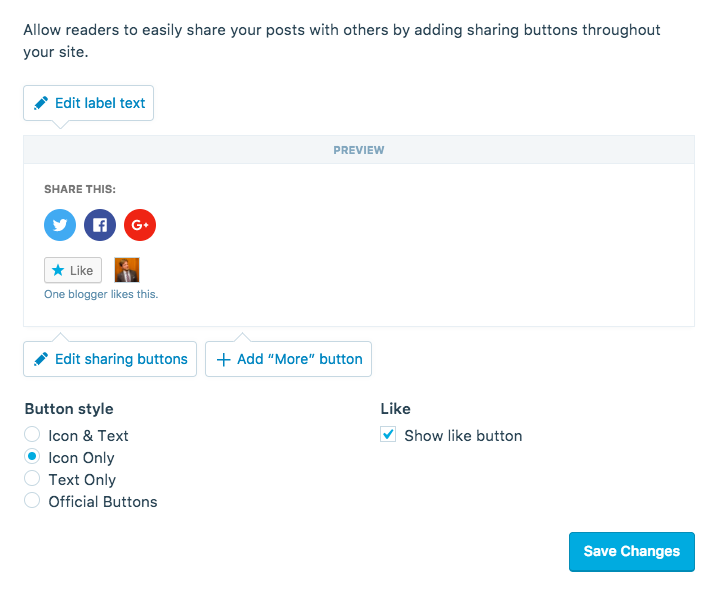 Notice that in order to set up Jetpack's social media buttons, you will first need to connect your account to WordPress.com. If “Override Jetpack Sharing Style” is set to on under Appearance > Customize > General Settings, it will override the default styling of the Jetpack Share icons. Instead, they will be shown matching the Elara Pro theme/colors.